Treatments using ozone, hydrogen peroxide, high dose intravenous vitamin C, and ultraviolet blood irradiation are oxidation therapies. There is a lot of interest in oxidation therapy for the treatment of Lyme. But does it work? And is it safe to do? After reviewing the science and the outcomes of patients in my Seattle practice who tried forms of these therapies before seeing me, I am skeptical about the benefits and long-term safety of this form of treatment. Oxidation therapy uses oxidative agents to treat Lyme. Oxidative agents, like hydrogen peroxide and ozone, take electrons from substances like the fats and proteins that make up cell membranes or the genetic material inside of cells. Taking electrons this way can damage the protein and fat covering of germs, our own cell coverings, and the DNA genetic material in cells and germs. So oxidation is damaging. As an example, the normal chemical reactions in cells create oxidizing agents that lead to cell damage and aging. To limit this, our cells produce many kinds of antioxidants like glutathione. See Glutathione: The Great Fixer for more information. I do not consider hyperbaric oxygen a strong oxidation therapy. Rather, it is best at providing oxygen to tissues to help mitochondria cell energy factory function. In the remaining part of this article, I limit my comments to ozone, ultraviolet blood irradiation, hydrogen peroxide, and high dose vitamin C.
Ozone, ultraviolet irradiation, and high dose vitamin C act as prodrugs that trigger the production of other oxidizing agents like hydrogen peroxide. Of these therapies, my review of the research suggest ozone is the strongest. Most of the research on oxidation therapies uses ozone. Here are some ways oxidation therapy could work proposed by researchers and those that promote using this therapy. These findings are mostly based on ozone research. Oxidation agents can kill germs out right. Laboratory experiments in test tubes and on petri dishes show this. Even our immune system uses oxidation agents to kill germs. White blood cells manufacture oxidizing agents. As an example, white blood cells release hydrogen peroxide and other oxidizing agents through a process called a “respiratory burst”. This damages the germ membranes and even the DNA. The white blood cells can spit the oxidizing agents at germs nearby or swallow the germs inside parts of the cells and cover them with internal oxidizing agents. The killing and damaging effect of these oxidation agents is limited by the large amounts of antioxidants found in blood. So this form of killing is only effective on germs right next to the white blood cells. Cytokine production caused by oxidation may stimulate the immune system. Numerous cytokines are increased in ozone experiments. These inflammatory chemicals made by white blood cells, in the right amount, can stimulate the immune system. But in excess, in Lyme disease they harm the immune system. Researchers suggest these increased cytokines make the immune system work better. But, they have not done studies that look at the function of the immune system to prove this. In other words, there is no evidence that the immune system actually works better, only that cytokines are increased. For more information about the good and bad of cytokines in Lyme see Control Cytokines: A Guide to Fix Lyme Symptoms & The Immune System. Ozone and oxidation improves oxygen delivery to the tissues and mitochondria. Ozone is shown to increase oxygen levels in cells. In addition, with ozone treatment red blood cells are more flexible and can get further into narrow vessels. 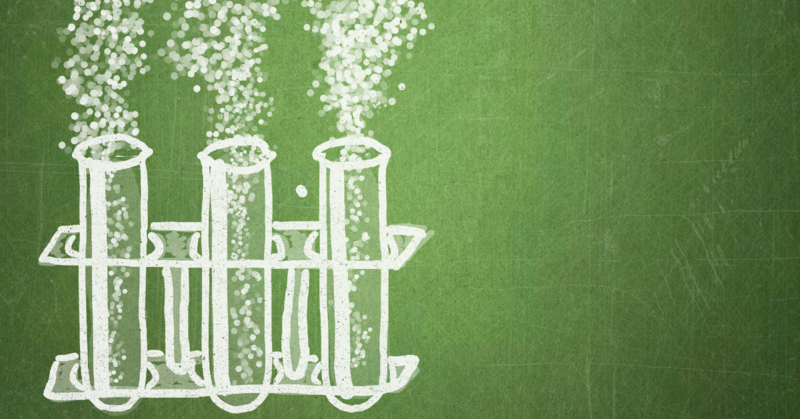 Chemicals that help keep blood vessels dilated are increased. Finally, there is an increase in a chemical, called 2.3 DPG, that helps the hemoglobin protein in red blood cells release oxygen that it carries. Mitochondria are the energy factories found in cells. Improved oxygen levels in mitochondria leads to increase cell energy. Read more in Power up! Energy and Mitochondria. Oxidizing agents, in a limited amount, can stimulate cells to produce more antioxidants. Ozone is shown to increase activity of Nrf2. Nrf2 provides genetic signalling for the production of a whole range of antioxidants including cellular glutathione. Increase antioxidants could help degenerative illnesses like multiple sclerosis or even macular degeneration of the eye. Perhaps, it could help reverse the oxidative damage caused by Lyme infection. Supporters of oxidative therapy point to the research on ozone showing it increases antioxidant levels and increases cytokines to stimulate the immune system. They suggest this makes oxidative therapies safe. However, I am concerned regular use will actually increase oxidizing agent cell damage and could suppress the immune system. Research done showing improved production of antioxidants did not involve repeatedly treating people as is done in Lyme disease. There are no long-term safety studies on repeated use in Lyme disease. It is possible repeated use actually could lead to increased oxidative damage to the genetic DNA in cells and even cell wall injury like that which occurs in aging. The short-term increase in antioxidants could be overcome by the direct oxidative damage of the oxidation agents used. Also, as I suggest in Control Cytokines: A Guide to Fix Lyme Symptoms & The Immune System, Lyme is a syndrome of cytokine excess. These excess cytokines actually give most Lyme symptoms. And the excess cytokines can suppress the immune system. The researchers conclude that oxidation medicine must improve immune function because ozone research shows increased cytokines. But, in Lyme increased cytokines are harmful, and can suppress the immune system. The researchers are wrong to conclude that increase cytokines means improved immune function. Increased cytokines are suppressors of the immune system in chronic Lyme disease. Generally, I see oxidation therapy improves symptoms to various degrees about 40% of the time. Sometimes these improvements are reported to occur in one or two treatments. I do not think ozone and other oxidative therapies work as an effective germ killers. The improvements on ozone have to be due to other effects. I suspect oxidation therapy helps some by improving oxygen levels in the tissues and the function of the cell energy factories called mitochondria. 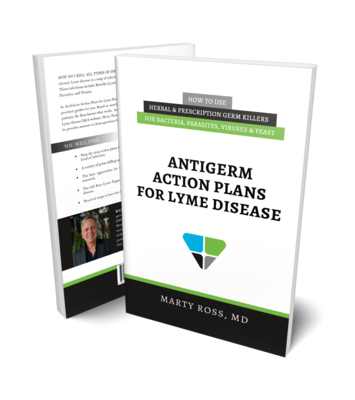 In part, I conclude this because In Lyme, rapidly killing germs does not quickly reverse the hormonal or inflammatory mess created by Lyme. These forms of dis-ease take days to months to reverse. The only thing that could cause rapid improvements observed in some with Lyme is improved energy production in mitochondria. There are test tube experiments showing that ozone kills germs. However no killing occurs when blood plasma (the liquid part of blood) is mixed with the liquid in the test tubes. Infact, experiments show that in a solution of 5% plasma, ozone does not kill at all. That is because the plasma is full of antioxidants that neutralize the ozone germ killing effect. Yes, our own immune systems kill using oxidizing agents. But the germ and the white blood cells have to be right next to each other. If there is too much separation, the antioxidants in blood or tissues neutralize the white blood cell oxidizing agents before they even land on the germ. Based on the risk of hurting the immune system and causing cell and DNA damage with long-term use, I am not a supporter of repeated and long term use of ozone or other oxidation therapies. However, for a limited number of treatments, like eight or less, it could help symptoms by improving mitochondrial function. I suspect, limited use will not lead to ongoing damage or immune suppression. In my opinion, these therapies should not be used as germ killers. In deciding to do this form of therapy, keep in mind it seems to help about 40% of the time. Given the costs and success rate, oxidation therapies are more appropriate if nothing else is working at six to nine months into treatment. Smith NL, Wilson AL, Gandhi J, Vatsia S, Khan SA. Ozone therapy: an overview of pharmacodynamics, current research, and clinical utility. Med Gas Res. 2017;7(3):212-219. Rowen RJ. Ozone therapy as a primary and sole treatment for acute bacteril infection: case report. Med Gas Res. 2018;8(3):121-124.